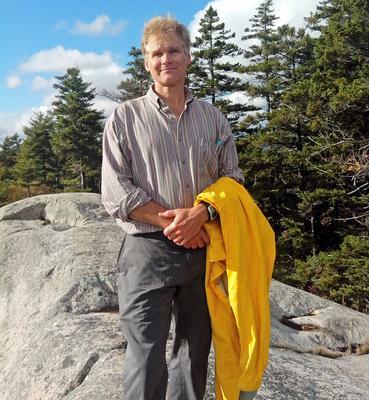 Jim Fisher takes job as Deer Isle’s town manager. As residents of Deer Isle usher in a new year, expect to see some changes in 2018. On December 31 the town hired its first town manager, and at the end of January, longtime Selectman Lew Ellis will step down leaving the post vacant until the March election. With an extensive background in community planning and economic development, Jim Fisher will assume the role of town manager—a first for the town, and for Fisher. Fisher, who lives in Blue Hill, comes to Deer Isle town government after 17 years with the Hancock County Planning Commission and a recent one-year stint with the Peace Corps where he worked on issues of economic and community development in South America. While the road to the position of town manager may not have been direct, Fisher said he became interested in town government as a child. “My father was a city supervisor in Arlington, Virgina, and going to meetings with him, I remember being impressed with the city manager.” Those childhood encounters sparked a pursuit of lifelong learning in areas of planning and public administration, said Fisher who holds a bachelor’s degree from Bowdoin College, and an MRP and PhD from the University of North Carolina. He brings specific skills in areas such as public administration and economic development, environmental and land use, health, population, market research and transportation according to his resume, and he said that over the years he has assisted projects and programs in Deer Isle, most recently one involving transportation on the island. Ellis said that the job comes with a multi-page job description, which will include work such as grant writing. He said the continued work to revitalize Deer Isle village is considered a priority. Fisher will work from 8 a.m. to 4 p.m. five days a week. “I know there will also be many meetings,” he added, during an interview January 2. Fisher will be paid a base salary of $48,000 and offered benefits. With the hiring of a town manager, the position of administrative assistant will end after town meeting and selectmen’s salaries will be discussed during budget season and voted on at the annual March meeting, said Ellis. After 16 years on the board of selectmen, Ellis will step down January 31 “for personal reasons.” He said he will help Fisher get up to speed and be available after his departure to help him as he transitions to the job. “I will show him around town and share as much knowledge as I can with him,” said Ellis.